Dr. Schuck specializes in optical hardware, image processing and color for visual applications, in particular 3D projection and near-to-eye devices. Miller was an integral part of LCOS startup Colorado Microdisplay, Inc., developing optical engines for HMD’s and camera viewfinders. He researched specialty lenses for holographic data storage at InPhase Technologies, and more recently, worked at Brillian Corporation developing optics for LCOS RPTV products. Since joining RealD, Miller has focused his efforts on 3D cinema, most notably the development of the award-winning RealD XL Cinema System line of products. Miller works in the R&D group with a focus on advanced development in projection and image capture. 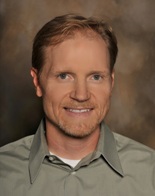 Dr. Schuck received his Ph.D. in 1997 from the University of Colorado at Boulder. Dr. Schuck has 19 issued US patents. The talk will give an overview of recent data on theater HDR measurements, 6p and polarized 3D system image contrast, and new digital solutions for premium large format cinemas.